A stress-free holiday feast? Every home-makers' dream when preparing for holiday feasting? Oh! Yes, it is possible! But we, Filipinos are more than ready for the Christmas season, once the 'ber' months ring win, we start planning for it, decorations are in tow and feasting budget is allotted. We all know that delightful food is often the highlight of gatherings and the key to throwing a great feast is variety, so everyone can enjoy the holiday spread, whether you're a full-pledged meat lover, on a particular diet, a vegan, or starting to live healthier. Hence. 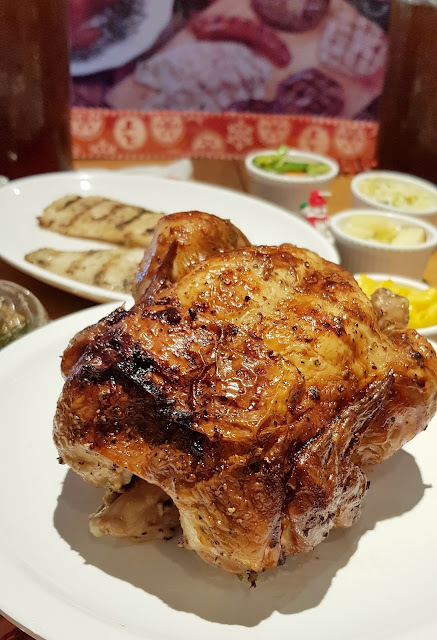 Kenny Rogers Roasters made it their task to offer more satisfying dishes for everyone's cravings. 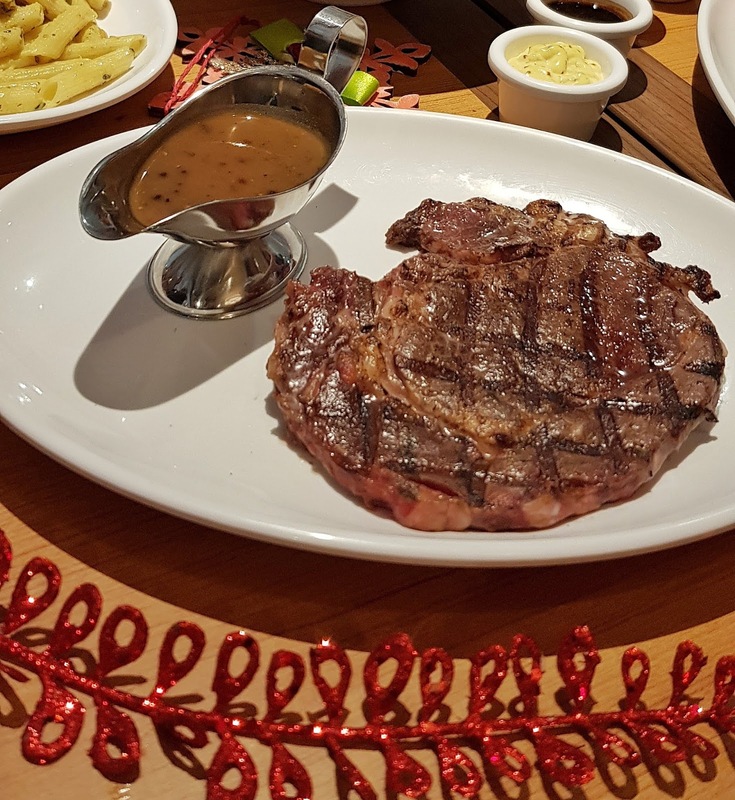 Make way for the ALL IN FEAST! Kenny's All in Feast is more that just chicken, it's all your favorites combined in one package perfect for any kinds of gatherings. What's in the package? 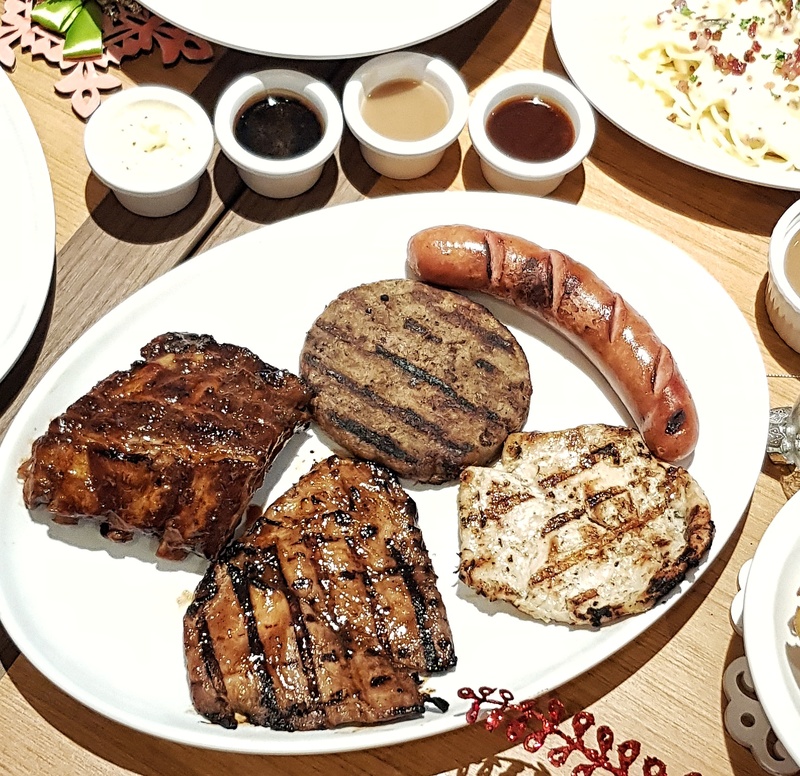 The set includes one whole chicken of your choice: Classic Roasted, OMG or Bacon Roast; fresh-off-the-grill specials such as premium Steak, half slab of Ribs, two grilled fish, two grilled chickens (Rosemary and Thyme and American Barbecue), grilled Sausage, Burger Steak; a platter of Carbonara; 8 sides of your choice, 8 corn muffins, two rice bowls, and two pitchers of Iced Tea or soda. 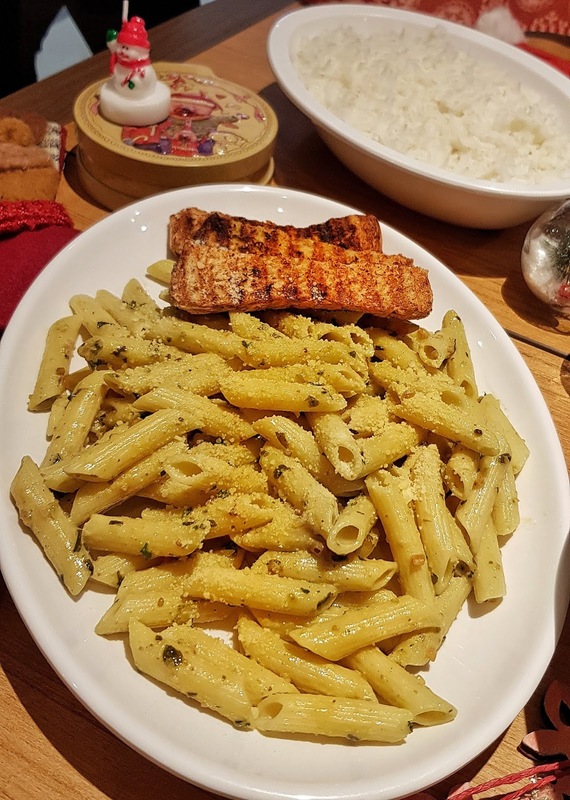 There's an added bonus to this set, an all new pasta dish, a platter of Creamy Penne Pesto. I'm a pesto person myself and so does my family, so this pasta coated with a rich and creamy sauce of basil pesto, peanuts, parsley and Parmesan cheese. It will only be available for a limited time, so don't miss it. 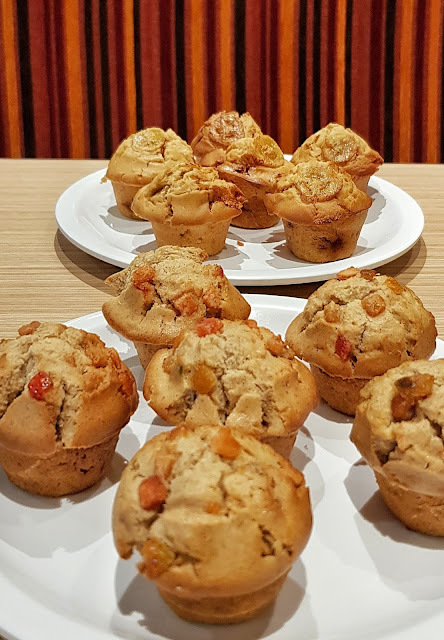 This is all for you muffin lovers out there, everyone's fave corn muffin has new variations, created just for this season - they call it their signature Merry Kenny Muffins. I find this not just pleasurable but also a great gift idea. Merry Kenny Muffins are available in two yummy variants: Banana Caramel and Fruitcake. 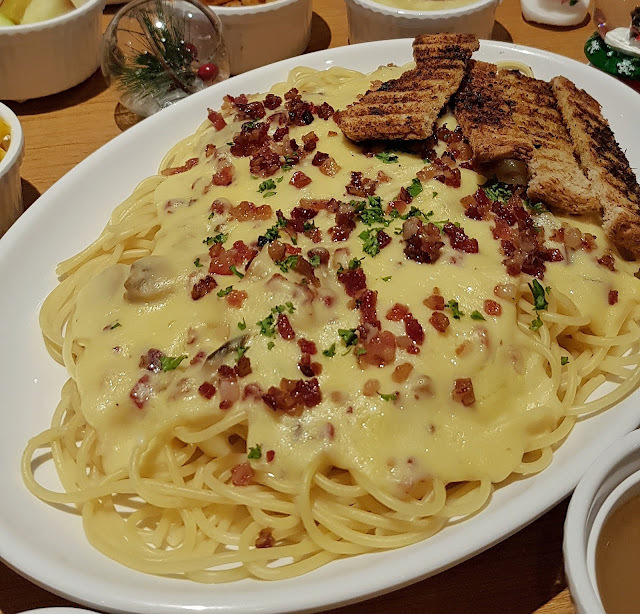 It can be bought in boxes of six for only P 115 or P 18 per piece. Upgrade your All in Feast Corn muffin to a Merry Kenny Muffin for an additional P 5. 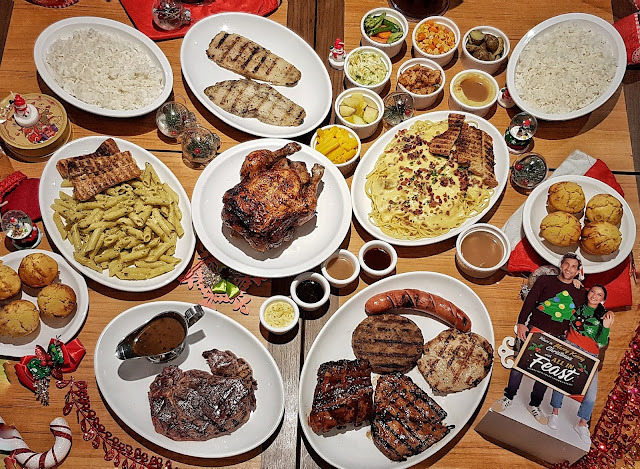 You can now order the All In FEAST, and it's only for P 3,300 good to share with 8 to 10 people. Now, is that a good value or what? 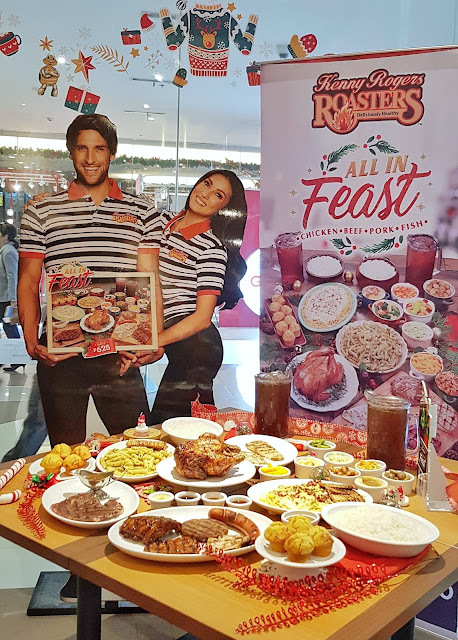 For more updates about Kenny's latest promo, LIKE Kenny Rogers Roasters on Facebook (@kennyrogersph) and Instagram (@kennyrogersph).